We mark the last Sunday of this liturgical year with this magnificent feast, the Solemnity of Our Lord Jesus Christ, King of the Universe. It may be difficult for many of us to make such an association – Christ and Kingship. The idea makes many moderns cringe. For those who value the ideals of democracy, the monarchy is distastefully viewed as a vestige of a bygone era, an unpopular system of government, a financial strain on tax payers, an expensive and unnecessary symbol of pomp and pageantry. Perhaps, the greatest objection to such a feast is that it sounds too triumphalistic for our pluralistic age. In an age where relativism reigns supreme, all religions and their founders are placed on a level playing field. When Christians proclaim Christ as King, it suggests an arrogant superiority over other contenders. The most recent example of the world’s disdain for such notions can be found in the damning Wikileaks exposé of email exchanges between campaign supporters and staffers of Hillary Clinton’s campaign for the U.S. presidency, leaks that may have cost her the presidency. 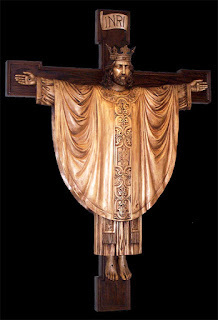 In one email, the following was written, “There needs to be a Catholic Spring, in which Catholics themselves demand the end of a middle ages dictatorship and the beginning of a little democracy and respect for gender equality in the Catholic Church.” Without stating the obvious, such a ‘Catholic Spring,’ more likely a Catholic Winter, can only take place if Christ’s authority is usurped by ideologues who believe that they have a better grasp of reality and truth than God Himself. When it comes to declaring Jesus as King, the Church doesn’t flinch nor hesitate. This is because what the Church proclaims through its doctrine and liturgy is irrevocably affirmed in Scripture. In the first few years of Jesus’ life, King Herod went through great lengths to rid himself of a possible political rival. He dispatches thugs to slaughter innocent children in Bethlehem but the baby King and His family, under God’s guidance, outmanoeuvred the insidious King of Judea by fleeing to Egypt. Jesus our King will not be trapped. At the mid-point of His teaching and healing career, the Pharisees come to warn Jesus that a despot (again) named Herod, a spawn of the old man who shared the same name, is after him to kill him. Jesus doesn’t back down from His mission. He famously says: “Go tell that fox”…I can do whatever I want to do today…tomorrow…and I’ll finish my agenda on the third day. Jesus our King will not be intimidated. During His trial, Pontius Pilate would pose this rhetorical question to Him: “Are you the King of the Jews?” Jesus responded, “You say I am a king. For this I was born and for this I came into the world, to testify to the truth. Everyone who belongs to the truth listens to my voice.” But Pilate was not interested in the truth. It is a question that our contemporary age of relativism has adopted for itself in its own attempt to bleach out God from society. Jesus our King will not compromise the Truth. At the end of His life, Jesus is killed as a blasphemer, a political rabble-rouser, a failed pretender. 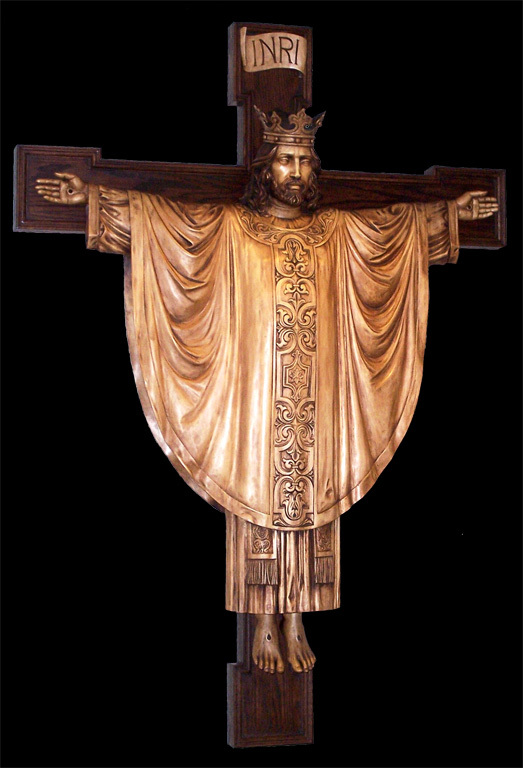 The sign on His cross read “The King of the Jews”. In hindsight, from the government’s point of view, it was a mistake to display that sign; it was a Roman government gaffe which famously told the truth: He really is the King, but so much more than what it claimed. And, as an undisputed testimony that He was right and the world was wrong, He rose from the dead. Jesus our King will not be defeated. The Gospel of St Luke reminds us that Jesus our King reigns from the Cross at Golgotha. The Cross, the Tree of Life and Immortality, is the Throne of our God. The cross would be the greatest testimony of His love. Jesus offered nothing but love when those around Him gave Him nothing but hate. The cross shows us that the only victory in life is to love, with loyalty to God through all of life’s ups and downs, for richer or poorer, in sickness and in health. Jesus showed us His commitment to us through death on the cross. He demonstrated His unswerving loyalty. Contrast this with our society’s lack of loyalty and commitment. Half of all marriages fail. Even in today's job market, many people are still changing jobs almost as often as they change their socks. People change their “spiritual path” as and when it suits their whims, choosing whatever agrees with them as the truth at that particular time. Truth in our culture is relative and arbitrary. In this marketplace of opinions, ideologies, fads and fashion, what do we Christians have to say about Truth? The cross says it all. When we approach this king on this throne, our eyes are opened instead of being blinded. We see before us, clearly, the true price of our salvation, the true effects of our sins, and the unlimited mercy and love of our everlasting King. And when we approach this king on this throne, we are not dazzled by diamonds and pearls, but by the love, forgiveness, courage, and humility of our Lord and our King. And from the cross today, instead of distancing Himself from His people, our king draws ever closer to us, and He draws us ever closer to him.